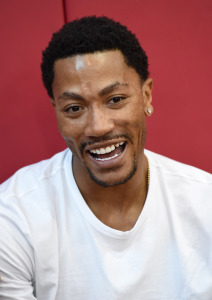 Derrick Rose agreed to sign a one-year contract with the Cleveland Cavaliers after his rocky season with the New York Knicks. The 2010-11 NBA MVP signed a league minimum salary of $2.1 million and will give the Cavs some star power in the backcourt if Kyrie Irving leaves the team. LeBron James went on social media saying “Let’s Rock G! !” to express his excitement about his new teammate! The Dallas Cowboys just can’t seem to avoid off-season scandals. The latest incident involves receiver Lucky Whitehead who was arrested last month for shoplifting at a Wawa convenience store. Whitehead didn’t show up at his cout appearnance and even though he claims it was a case of mistaken identity, Cowboy coach, Jason Garrett, doesn’t want any more problems so released him from the team. He stated, “There’s a certain way we want to handle ourselves, on and off the field. There’s a standard that we have. We believe very strongly in adhering to those standards and trying to uphold them, each and every day, in everything that we do. When we don’t do that, we do everything we can as an organization to hold players and everyone in the organization accountable to what those standards are.” The Cowboys franchise is also dealing with domestic violence allegations against their star running back Ezekiel Elliott.